Winter Driving Is Kind Of Like Skiing, Except With Skis, It’s Often Easier To Stop. 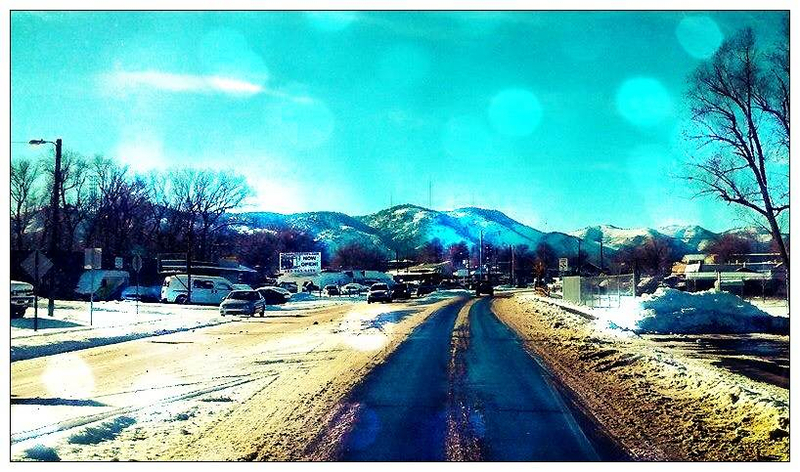 Winter driving in Colorado is kind of like skiing, except for with skis, it’s often easier to stop. As a driver for lyft in Denver, I’ve safely braved many icy nights inside my tan Subaru. Snow tires and all-wheel drive are essential for safe winter driving, but actually, I’ve learned the best skills from the Responsibility Code of skiing the slopes at Vail. Colorado is committed to winter driving safety. While driving on Colorado roads, you may be joined by rear wheel drive cars, front wheel drive, trucks with trailers, experienced cold weather drivers, those who have no clue, and even cyclists. Always show courtesy to others and be aware there are elements of risk involved with driving in slick conditions with low visibility that common sense and situational awareness can help reduce. Maintain a safe slow speed. 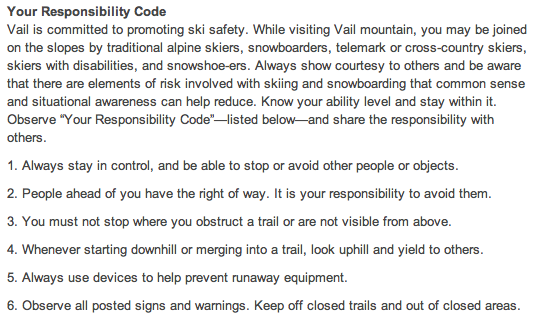 Observe “Your Responsibility Code”—listed below— and share the responsibility with others. Always stay in control, and be able to stop or avoid other vehicles or objects. Vehicles ahead of you have the right of way (they may not be able to stop). It is your responsibility to avoid them. Do not stop your car in dangerous areas where your car may not be visible to others. When conditions are slick and you are merging, check uphill and yield to others. Be prepared. Have snow tires, jumper cables, a shovel, water and a sleeping bag in your car. Observe all posted signs and warnings. Stay away from known problem areas. Save skiing, riding and driving to all! Matilda Juliette loves her pink fluffy mustache just about as much as she loves her yoga mat. 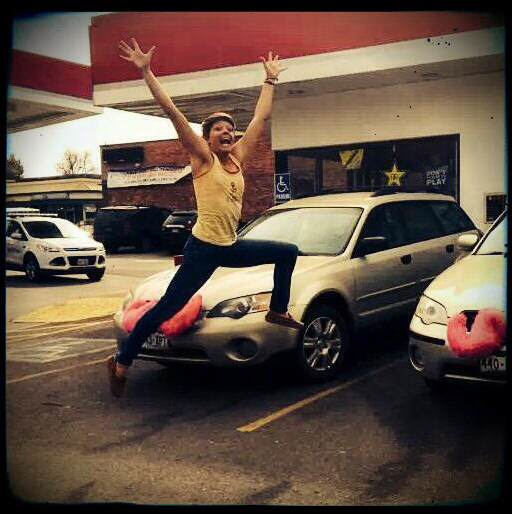 She is a yoga teachin’ lyft drivin’ writer with flair. Along with blogs on life, yoga, and nutrition, Matilda is also the author of the hit novel Eeny, Meeny, Miney, Moe — Dating and Sexcapades of a Yogi. She loves sharing great things of this world. Matilda’s articles can be found on elephant journal and her book can be found online.